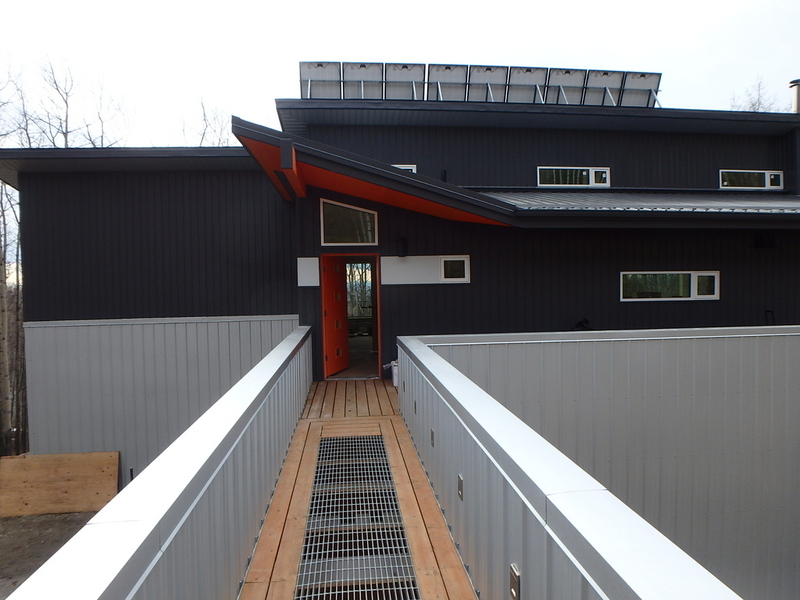 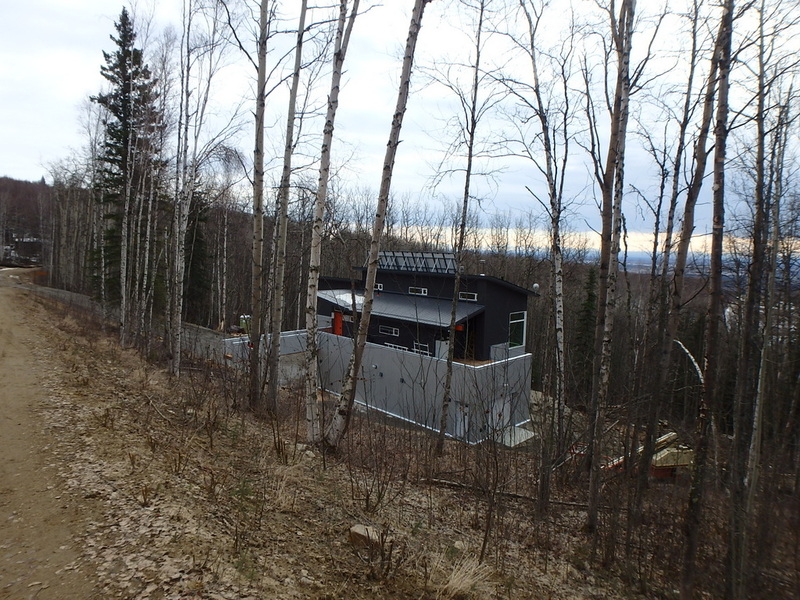 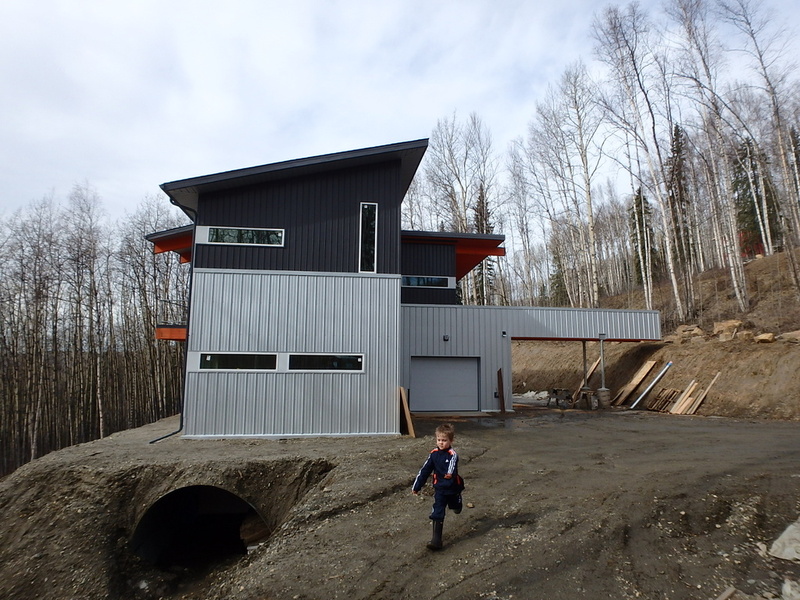 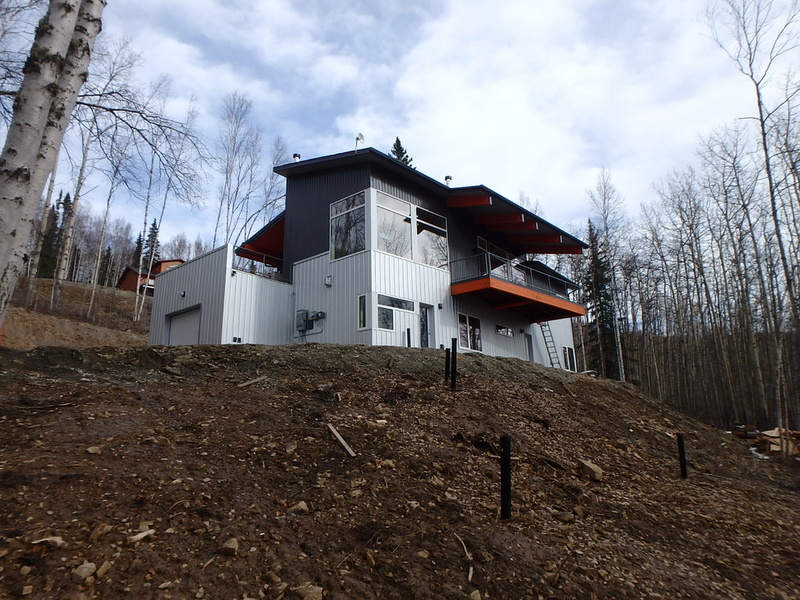 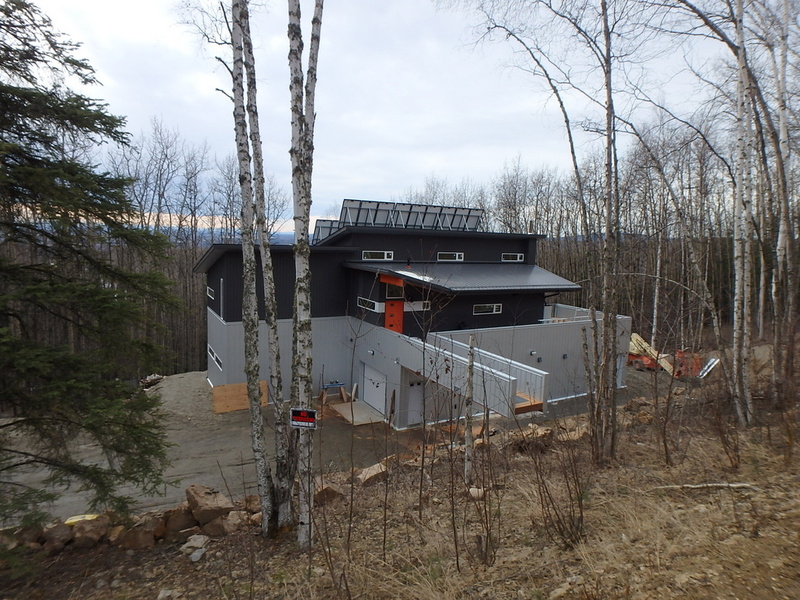 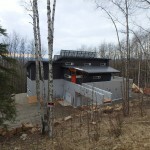 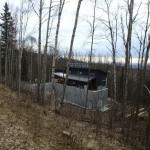 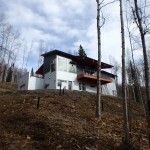 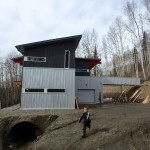 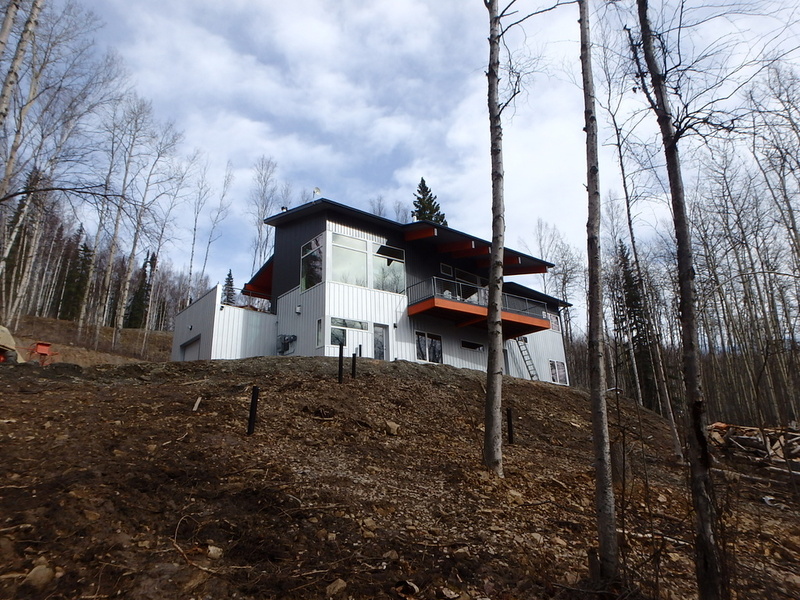 Changing the paradigm in the hillside home building tradition in Fairbanks, a bridge links the house to the road. 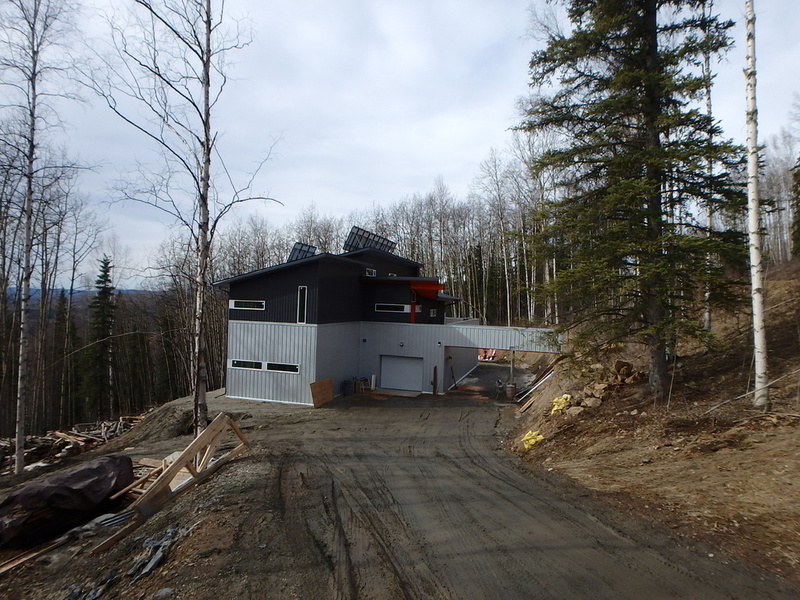 The bridge allows visitors to park on the road and avoid a steep narrow driveway typical of this neighborhood. 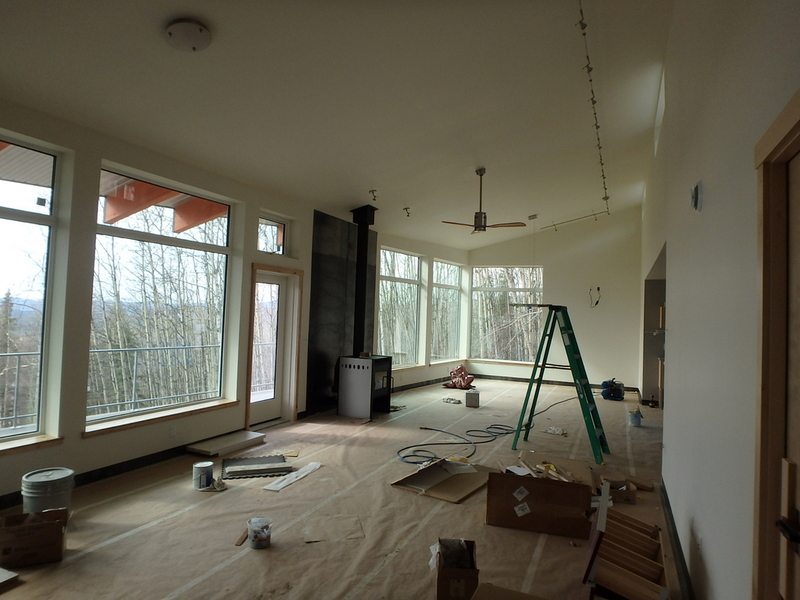 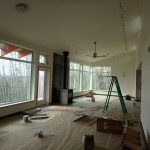 The living spaces are located on the second floor and bedrooms are located on the first floor. 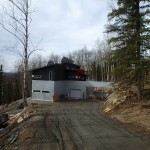 A drive thru garage keeps the footprint narrow. 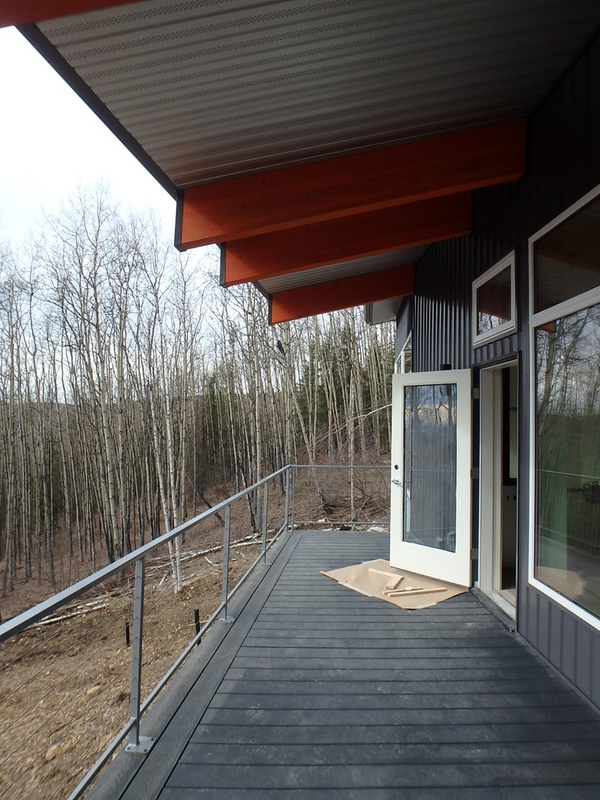 A over sized roof eave covers the deck on the south. 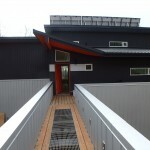 A roof deck serves dual function of tai chi space and barbecuing. 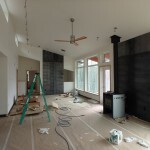 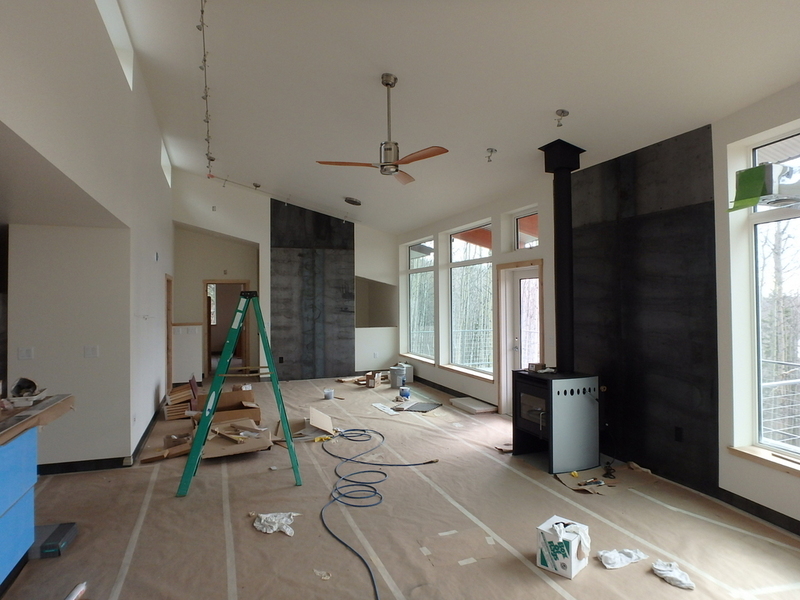 The house is under construction.